Twenty-one members of the right-wing Nationalist Republican Alliance (Arena) in El Salvador submitted a motion on 11 July to the parliament for debate on 14 July to reform Article 133 of the Penal Code, increasing the penalty for women who cause or consent to an abortion from up to eight years in prison to a minimum of 30 years and a maximum of 50 years. This is equivalent to the current sentence for aggravated murder with extreme cruelty. Increased penalties for health professionals and others accused of “promoting” abortion were also proposed. In addition their motion stipulates penalties for wrongful injury to the “unborn” against medical personnel if they occur in the exercise of their profession. Also punishable by imprisonment of 6 months to 2 years is the promotion of procedures, medications, substances or objects intended to cause a miscarriage. These proposals were put forward in the name of the “la inseguridad jurídica del no nacido” (juridical insecurity of the not born). Since 1998, abortion has been illegal in El Salvador on all grounds, even when the pregnancy threatens a woman’s life. Despite the ban, the Salvadoran Health Ministry estimates that more than 19,000 illegal abortions take place annually. Adolescents comprise nearly a third of this number, in a country with some of the highest unplanned pregnancy and sexual assault rates. It is also estimated that between 1998 and 2013, more than 600 women have been jailed for up to 40 years after being accused of having had an abortion. Under what a Guardian article called the country’s “guilty until proven innocent” approach, which one might describe more accurately as a “guilty even when proven innocent” approach, there are already women in prison with sentences of up to 40 years. The Agrupación Ciudadana por la Despenalización del Aborto Terapéutico, Ético y Eugenésco (Citizens’ Group for the Decriminalization of Abortion on Therapeutic, and Ethical Grounds and for Fetal Anomaly) in El Salvador are leading efforts to have women who have had abortions, miscarriages and stillbirths released from prison. It is thought there are currently about 25 of them in prison. Morena Herrera, who heads the Agrupación, has faced death threats and slander. The Group contacted Amnesty International, Ipas and WGNRR to ask for immediate solidarity, because the motion had been tabled for debate with such short notice. All three groups collected signatures and sent letters. In the event, the debate was postponed, possibly until this week, in the wake of a decision by El Salvador’s Supreme Court to declare the country’s Amnesty Law unconstitutional, an historic and long-awaited step forward for justice, awaited since 1993, reported by Amnesty International. 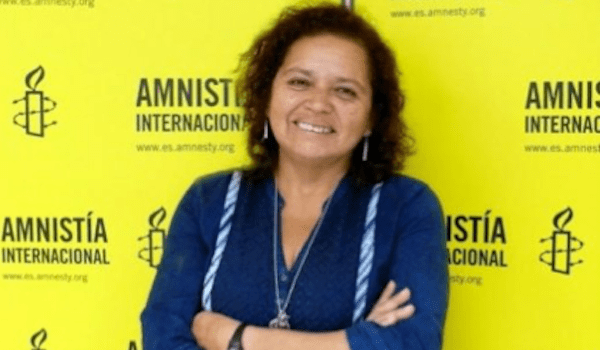 How much longer will Salvadoran women have to wait for justice?